KD one Mineral Foundation has a great coverage. We have 14 different shades so there will be a colour for you. Foundation has zinc oxide which provides protection from UVA/UVB rays. 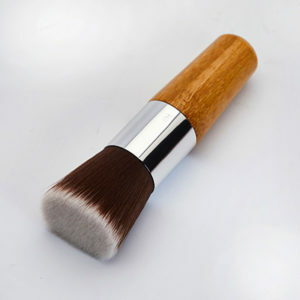 Loose mineral foundation is the purest form of foundation available. It is talc-free, chemical-free and dye-free. It is ideal for acne sufferers as it provides complete coverage of blemishes at the same time helping to heal and calm inflammations. This foundation can be used after recent plastic surgery and is the most hypoallergenic cosmetic on the market. It hides skin conditions such as roacea and spider veins yet feels utterly weightless! 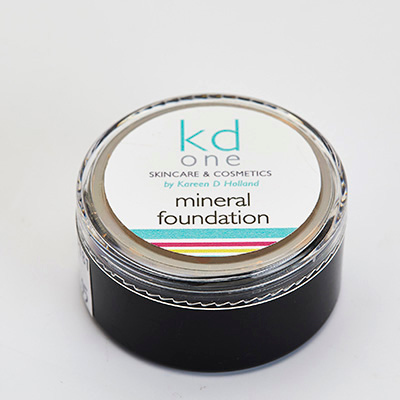 In addition, KD one loose mineral foundation has a high SPF factor and is nearly waterproof. 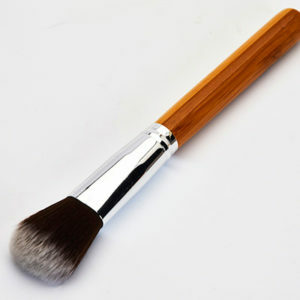 It’s an excellent sports make-up and is also ideal for women with active lifestyles. While it is a powder foundation, it is not drying. It seals in moisture for those with dry skin yet doesn’t clog pores for those with oily skin. It also won’t “break up” in response to oil, but remains flawless throughout the day. And finally, the glow skin receives from the minerals takes years off your face. These shades are from lightest to darkest. Waitomo silk is the most common pale shade. Tawa Rose and Kiwi Tan cover most of the medium tone people. Manuka Honey covers darker tones and yellow undertones, also Maori skin tones. Kowhai Beige has a lighter yellow undertone.